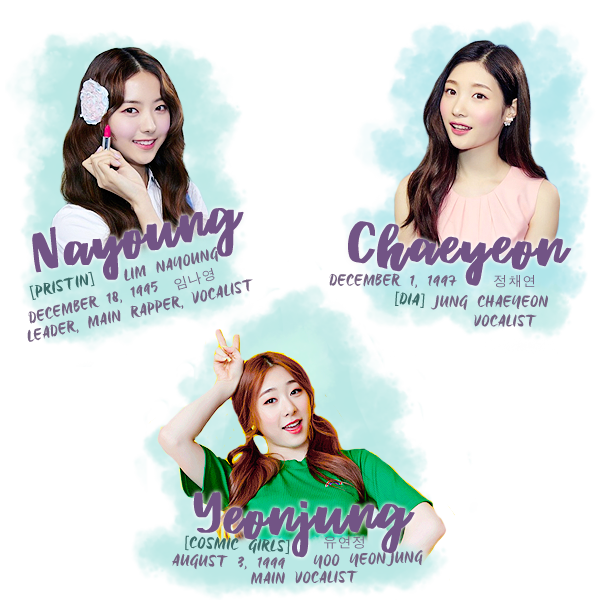 I.O.I (아이오아이) was a South Korean girl group formed by CJ E&M from the survival show, Produce 101. On the show, 101 trainees from various entertainment companies around South Korea compete and 11 finalists would debut into the group. The eleven members who won and were in I.O.I consists of: Im Nayoung, Kim Chungha, Kim Sejeong, Jung Chaeyeon, Zhou Jieqiong, Kim Sohye, Yoo Yeonjung, Choi Yoojung, Kang Mina, Kim Doyeon and Jeon Somi. 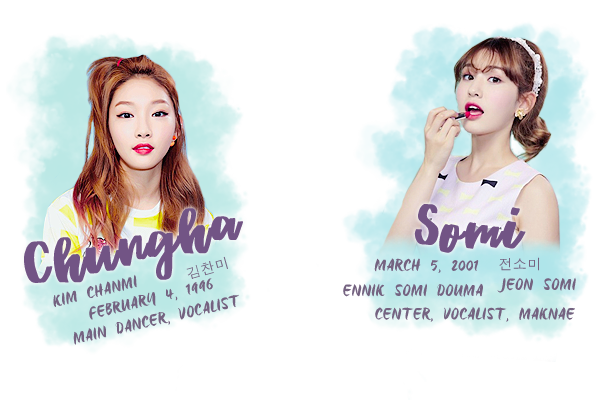 They debut on May 4, 2016 with the mini album, Chrysalis and actively promoted as a whole and as a sub-unit for less than a year. 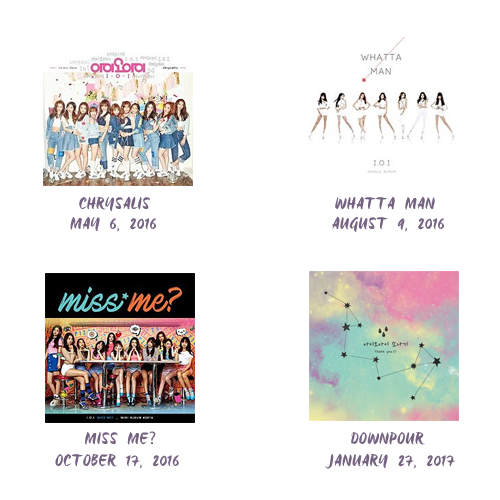 The group's concert titled Time Slip – I.O.I, which was held on January 20 to 22, 2017, marked their last group activity on stage. They officially disbanded at the end of January 2017 and returned to their respective agencies.